therein Mentioned, which I Do allow & approve of. 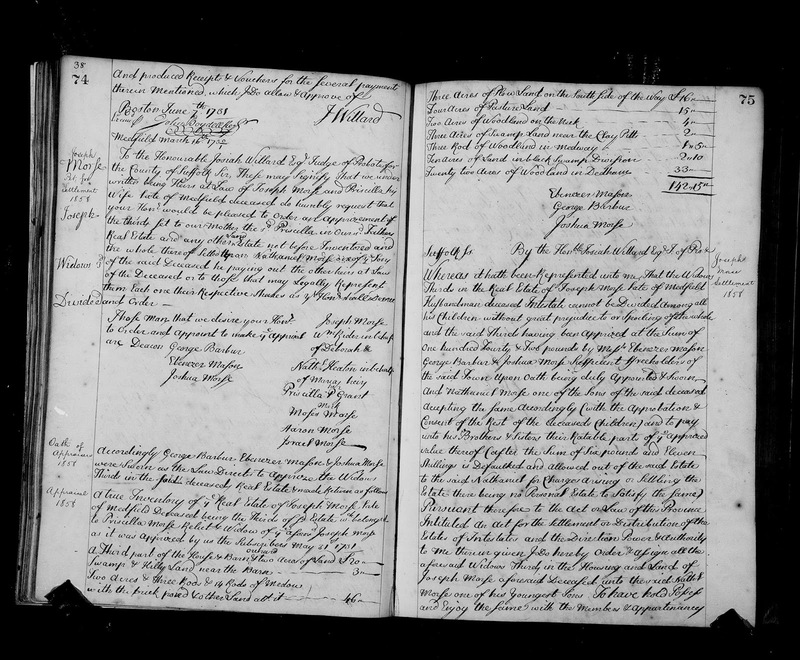 "Massachusetts, Wills and Probate Records, 1635-1991," indexed database with digital images, Ancestry.com (http://www.ancestry.com, : accessed 5 November 2017); Suffolk County, "Probate Records, V. 29-31, 1731-1734," Volume 29, pages 73-74 (images 45-46 of 856), John Plimpton, 1730, account; Original images in Suffolk County [Mass.] Probate Court. Part I of this series included the Letter of Administration appointed the widow, Susannah Plimpton and the oldest son, John Plimpton as Administrators of the estate. An inventory of the estate was taken on 10 March 1730, and totals £879-3-9, of which £567-10 is real estate. The Letter of Administration is dated 7 April 1730. 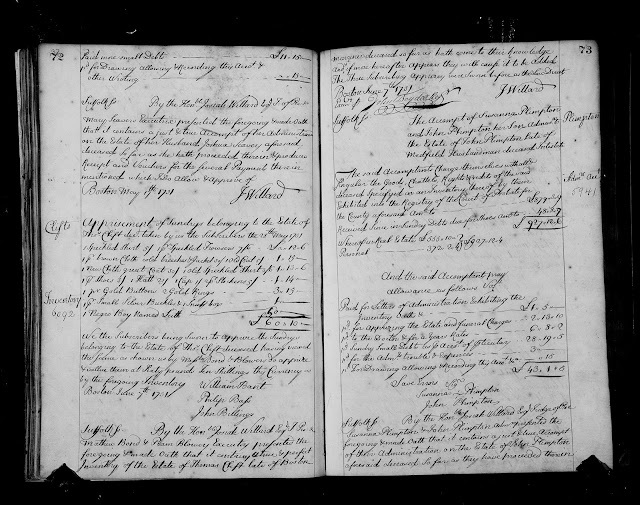 In this post, the Administrators presented their account, requested payment for their expenses, which was granted by the Judge of the Suffolk County probate court on 7 June 1731.